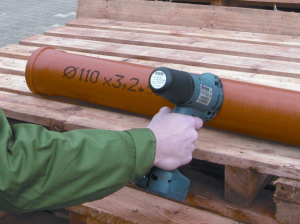 Ink jet coding and marking is a versatile marking solution providing both inline and mobile marking options suited for a variety of surfaces and materials. 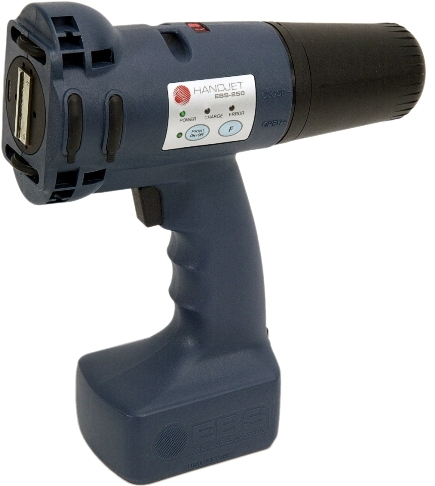 Hand held ink jet printers offer flexible and mobile marking solutions for printing on a variety of surfaces and materials. The Handjet model offers an affordable upgrade to traditional hand coders (such as stencil machines, rubber hand stamps and roller coders.) This portable ink jet printer is perfect for a wide range of applications where product identification and portability is a must. 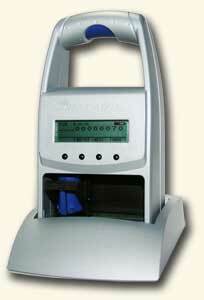 Messages are created through your PC and transferred to the Handjet via a Bluetooth module (cable-free! ).